It doesn’t happen very often that the producer wears several hats in one film. ‘PM Narendra Modi’ is one such unique film where the producer is the creative director, the one who came up with the story, and now he has added one more feather to his cap – singer. Yes, it’s none other than Sandip Ssingh. 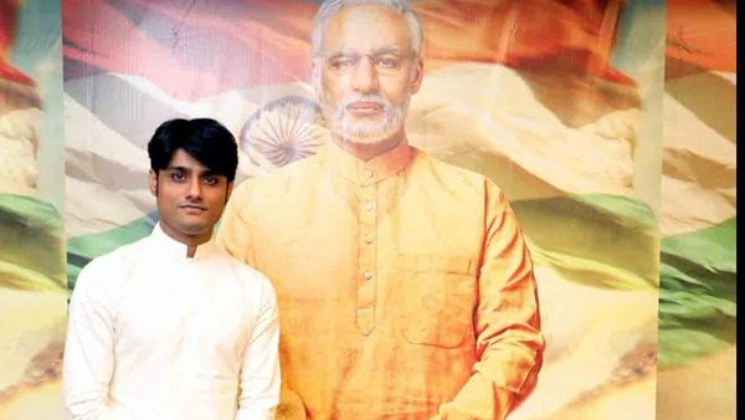 It is a lesser known fact that the rap song titled ‘Namo Namo’ is sung by Sandip Ssingh and the rap has been done by Parry G. The song is the tribute to Narendra Modi and is his dedication to making a difference and making a better country for the 1.3 billion residents. The song’s music director is Hitesh Modak who has also done the programming. Directed by Omung Kumar, ‘PM Narendra Modi’ will traverse the journey of Narendra Damodardas Modi from his humble beginnings to becoming the Prime Minister of India in 2014. The film is already making headlines for the wrong reasons every now and then. First it was the memes and then there were the trollers who were questioning ‘Why Vivek Oberoi‘ . To top it all, there was also the big controversy where Javed Akhtar and Sameer came up and said their names were used as lyricists despite them not having written anything for the film. Sandip later clarified on the same by saying that the music label had recreated a couple of old hits and it was because of this that the makers had credited their names in the film’s trailer. Baring aside all the controversies, ‘PM Narendra Modi’ is set to hit theatres on April 5, a week before the national elections begin.